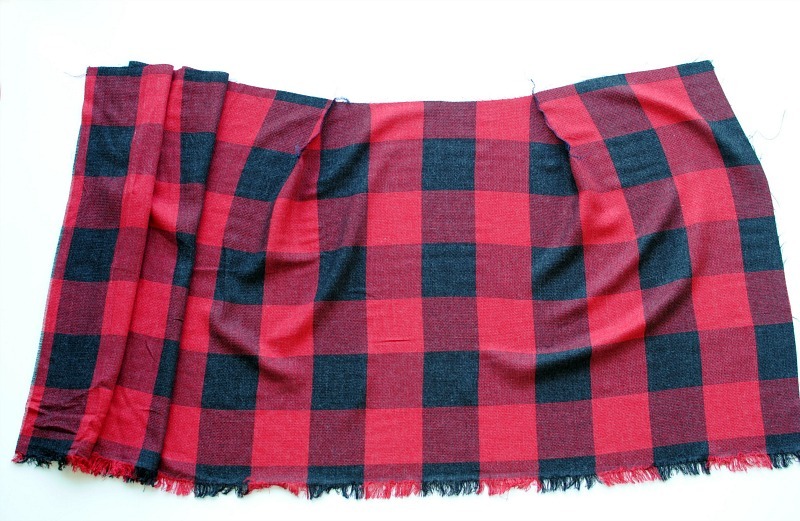 Maybe it's the Scottish heritage in me but I love all things plaid. It's my favorite print and usually what I look for when shopping for fabric this time of year. Our Campbell Clan even has our own tartan print known as the "Campbell plaid" (green plaid with a thin yellow stripe). 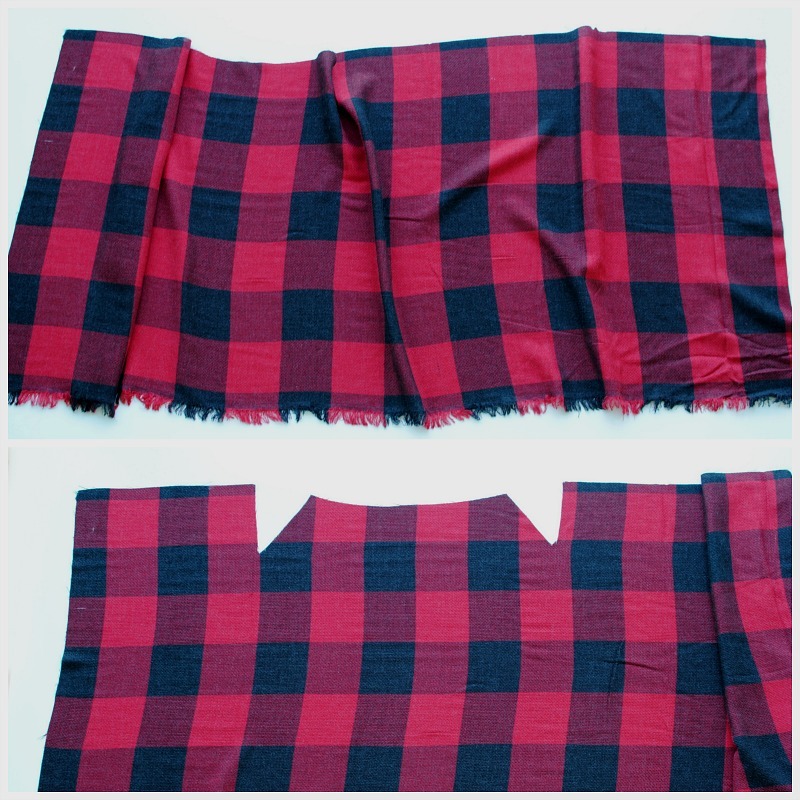 Every year my Grandma use to make us plaid ponchos for Christmas. I wanted to keep the tradition alive and add a bit of edge by using a Coats 22" Separating Zipper and asymmetrical center front. 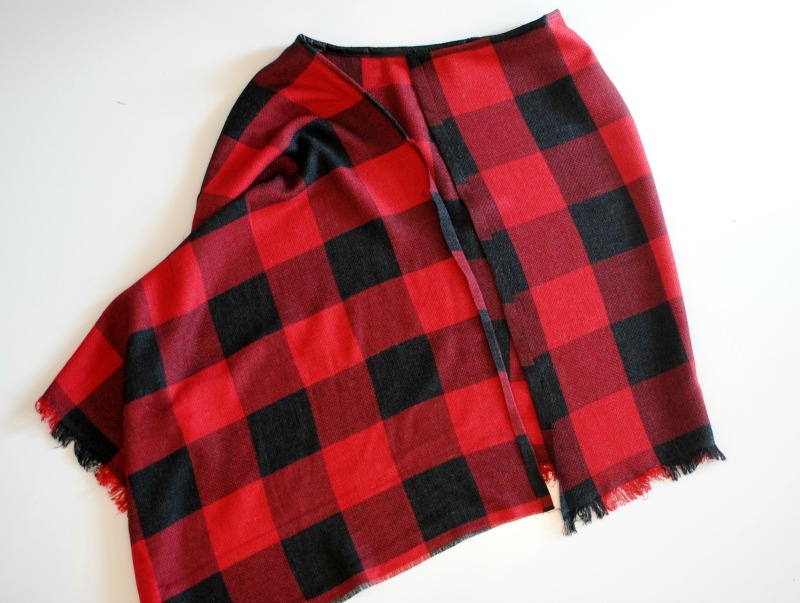 This can even be worn as a versatile kilt. 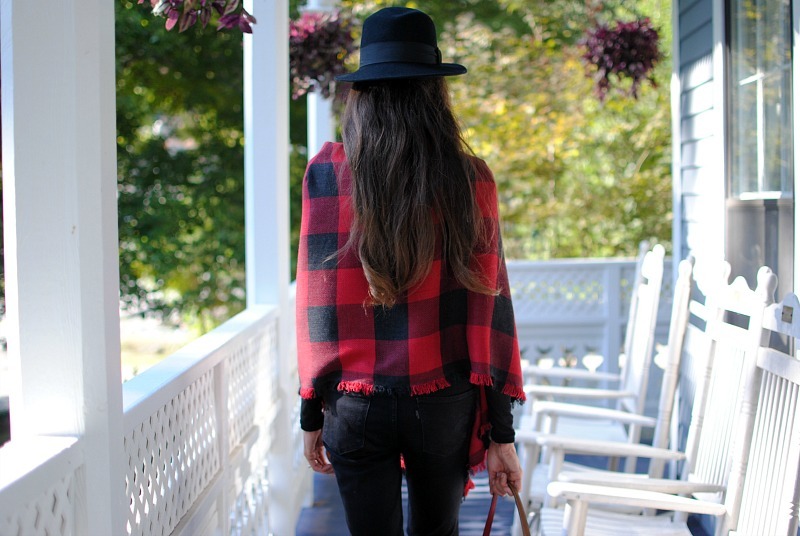 Get the details below to make your own for a lovely Autumn look. Coats Fashion Brass Separating Zipper 22"
1 yd. of fabric (58"-60"wide). You will cut a large strip of fabric. Mine measured 22" x 56". I used the selvage edge as my finished edge on the bottom. 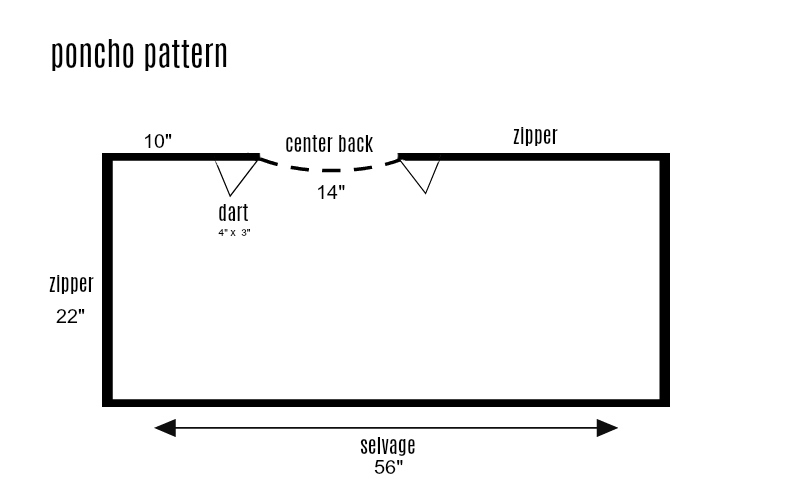 Following the pattern template above: draft darts 4" in length and about 3" in width. Then draft a slight curve for the center back about 11" in width (14" total with the curve). Notice I have one side that is 10" and the other that is about 32". 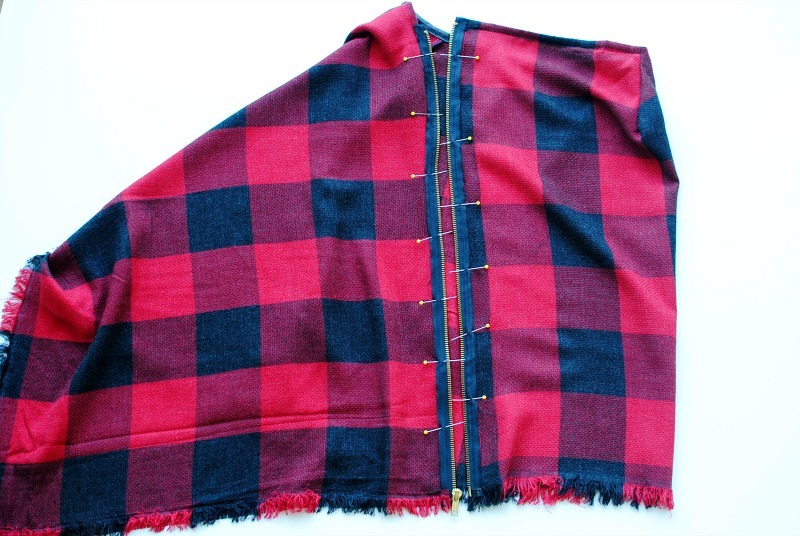 This is to create the asymmetrical seam on the poncho. Then cut out the darts and center back. 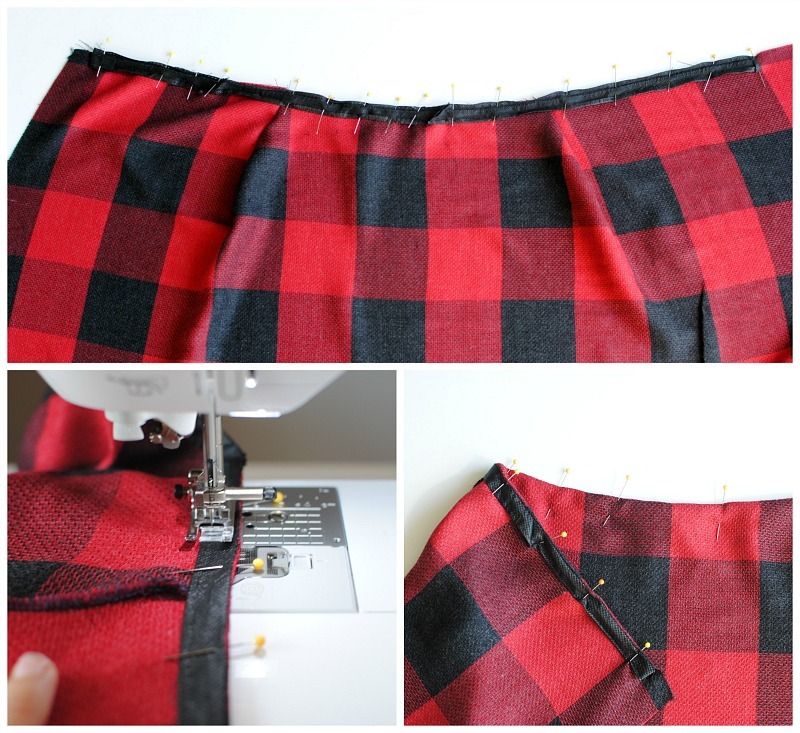 Sew the darts with 1/4" seam allowance right sides together. Press seam allowance open or serge. Finishing the neckline. Cut a strip of 1/2 single fold bias tape measuring 32". Pin along the right side of the neckline (fold over ends 1/2"). Start at the left side leaving 1/2" open for seam allowance and sew right sides together sewing just along the first folded edge. 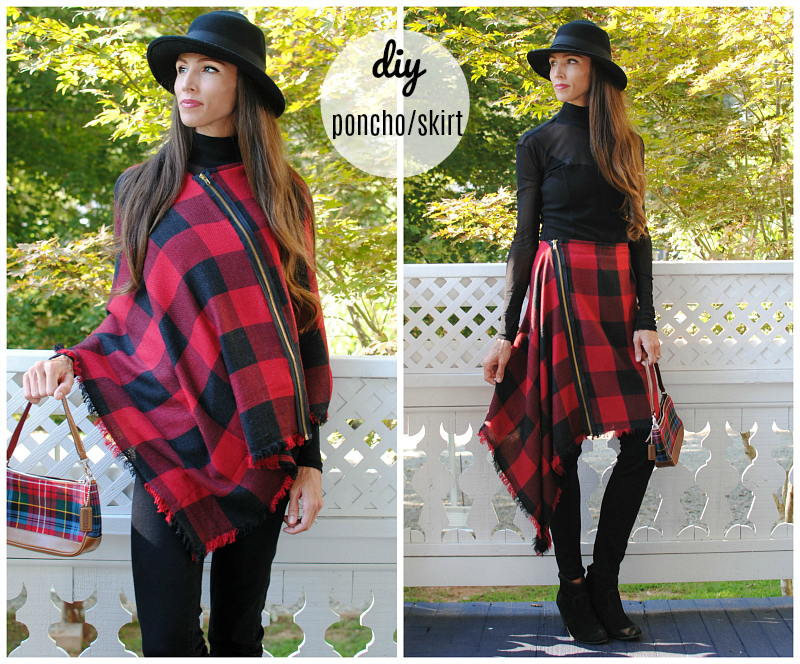 Your poncho will look something like this. Now you have one bottom edge that doesn't have the selvage. So you can do a few things: 1) finish the edge 2) if you have similar fabric as mine you can fray the edge to match the selvage by pulling out the threads 3) cut additional selvage from extra fabric and sew it along the edge as trim (this is what I did). 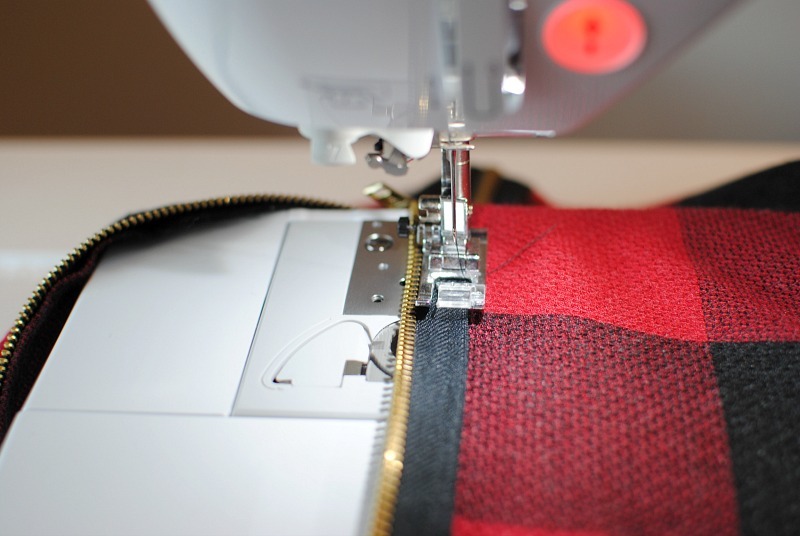 Prepping for the zipper: Fold the front edges over 1/4" towards the right side of the fabric. (22" from the bottom). Sew the zipper into place sewing right along the teeth (using your zipper foot) and then another row just along the zipper tape edge. Now you've got a lovely Autumn poncho. These are so pretty! Great what you can make with a few simple materials. I've designed an amusing stitching gadget cowl sample as a Who Can Do My Coursework way to healthy nearly all stitching machines. It has a pocket at the front for storage and a quite embroidery layout. There are four ties at the perimeters to keep it in place to your gadget. Thank you for sharing this information. If you any problem regarding Trend Micro Antivirus issues than call Trend Micro Antivirus Helpline Number +1-877-917-4965 to get the instant help of antivirus issues from Trend micro antivirus support experts team, we are available 24*7 for your help. well covers for my sewing machines. It keeps them free of develop and clean when not being utilized but instead I in like manner have a significant proportion of little hands around as it's a security/protection thing too. Academic Proofreading Services I'll recall forget when my infant youngster made some kind of breakthrough of sunscreen and showered everything over my studio. I can laugh about it now anyway starting now and into the foreseeable future I for the most part use covers on my sewing machines! This is a very creative and youthful style, it can both make the dress and do the leg dress! Love this idea! It would be great as a skirt! keep sharing stuff like this!